Will the UK maintain strict GMO labelling laws post-Brexit? For the moment, at least, UK regulations are tied to those of the rest of the EU. That means that GMO crops and foods need to go through a well-established regulatory process and if a food product contains GMOs, it must be labelled as such. But as Brexit draws ever nearer, a huge question mark hangs over how – and indeed if – the UK will regulate or label GMOs once it splits from the European Union. That’s why we’ve joined with GM Freeze in launching a new petition, calling on the UK government to protect consumers’ right to know if they are eating GMOs. Tell the UK government not to hide what’s inside. 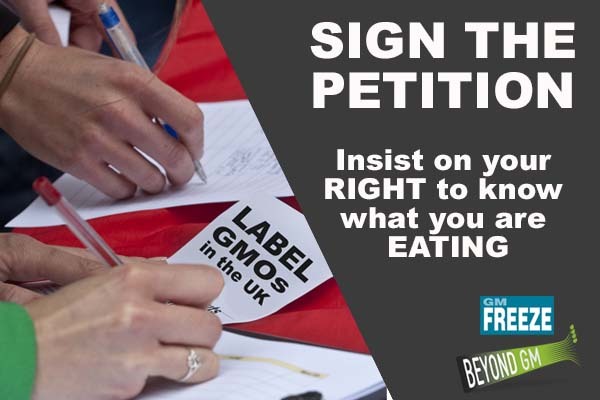 Click on the picture to sign our petition to maintain strong, clear GMO labelling in the UK. Eustace’s point of view is both blinkered and ignorant and there is no excuse for it. It is not supported by the definition of what a genetically modified organism is, nor by decades of evidence demonstrating the damage that these types of crops can do in terms of increased chemical inputs, higher expenditure for farmers and damage to soil. If the Minister is truly dedicated to science as his guiding light he might begin by reading the 2018 study in Nature Biotechnology which found that the gene editing tool CRISPR/Cas9 can cause unexpected genetic damage which could lead to dangerous changes in some cells – and the two studies in Nature Medicine published just before that which showed that the CRISPR gene editing tool may inadvertently increase cancer risk in some cells (see here and here), and the one published before that which shows that humans may have an innate immunity to Cas9. That’s just what it may do to the human body. What it may do to our natural environment is barely studied though as noted, again in Nature,: “Since the introduction of new tools such as the popular gene-editing technique called CRISPR–Cas9 it has been possible to spread or “drive” a given gene through a population almost exponentially”. As we have previously noted, what that means is that gene drives, which make use of CRISPR technology, have the potential to cause massive ecological disruption destroying and even “re-engineering” entire populations of wild species. Embracing these technologies and pushing them into the soil and onto the marketplace without understanding the consequences is the antithesis of a ‘science based’ approach. The ECJ ruling also threw up some uncertainties regarding the legality of ongoing field trials involving gene edited crops – one of which began in the UK in May 2018. Groups elsewhere in Europe are likewise concerned about open air field trials involving gene-edited crops which could now be deemed illegal and which may have unintended and unexamined consequences. The biggest loser in all of this is, of course, the consumer. We all want to know what we are eating and whether what we are eating is safe – for people and for planet. Strong regulation and clear labelling can go some way to ensuring this. 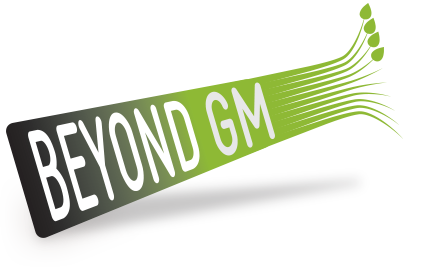 It’s against this backdrop that Beyond GM has joined with GM Freeze in launching a new petition, to protect consumers’ right to make an informed choice about their food choices. 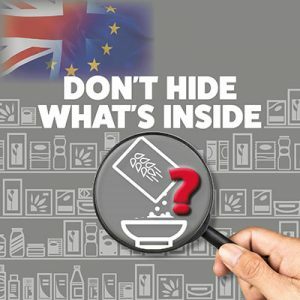 The Don’t Hide What’s Inside petition calls on the Environment Secretary, Brexit Secretary and the Chairs of the Food Standards Agency and Food Standards Scotland to protect consumers’ right to make an informed choice by retaining and enforcing the requirement to label food containing genetically modified (GM) ingredients, throughout the UK. Sign the petition here – and please share widely.